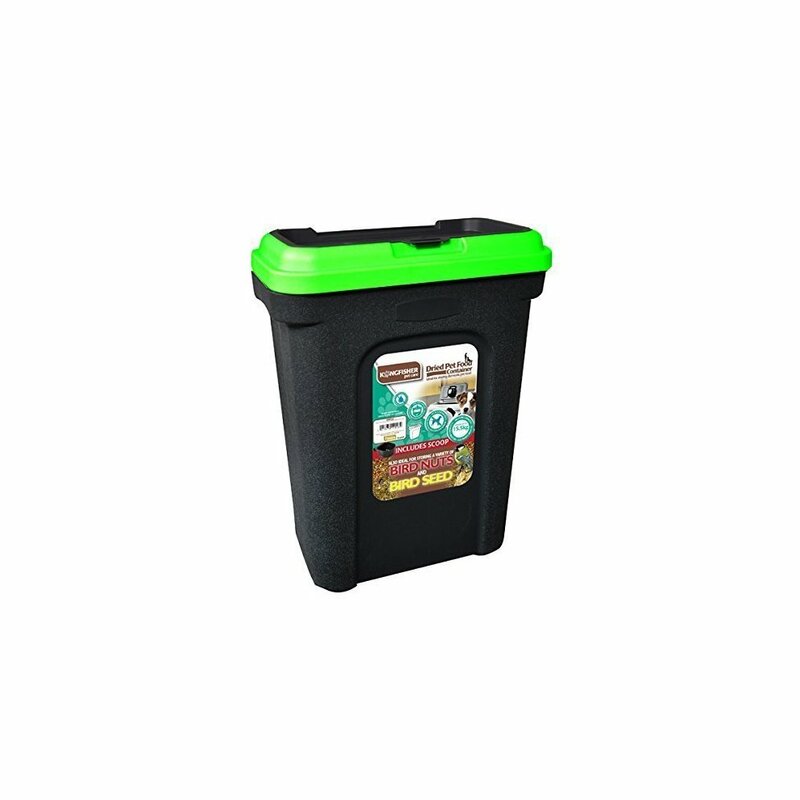 Space-effective storage for any dried pet food! Rubber seal to keep out hungry pets! 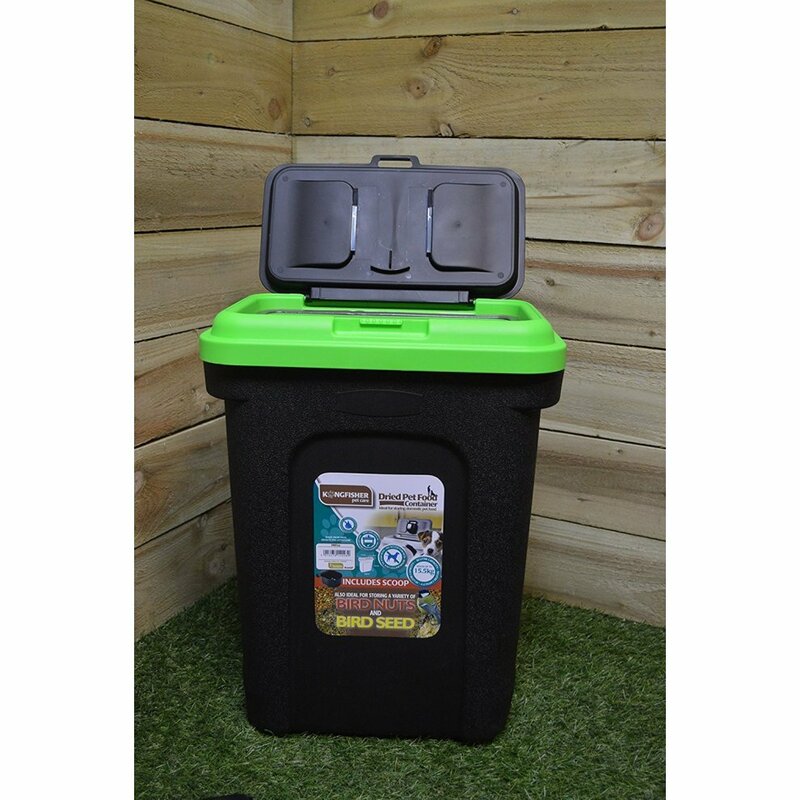 Keep your pet food fresh and free from contamination with this 30L Kingfisher Dried Pet Food Container. Whether it’s dog, bird or rabbit food (or any other food, for that matter!) it will be stored securely here. With a storage capacity of 30 litres, you can keep ample amounts of pet food. The rubber seal means even the most sensitive of noses and skilful paws can’t sneak in to snack! 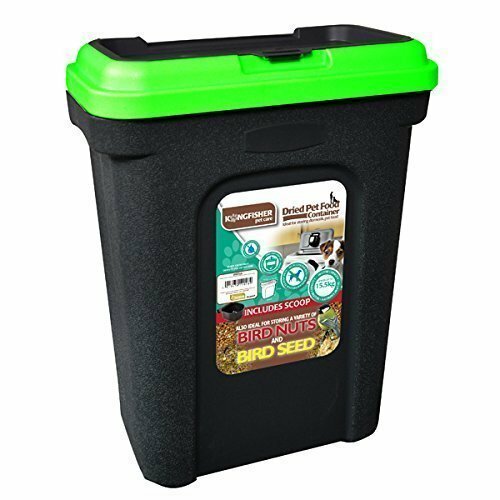 The durable plastic box includes a handy integrated scoop so you can get that perfectly measured portion every time - without the added hassle of ever losing the scoop!